While 3D printing has dramatically sped up the production and manufacturing of prototypes, consumer products and medical implants, that doesn’t mean that there isn’t room for improvement. Most metal or industrial-grade thermoplastic 3D printers produce parts with geometries too complex to be free-standing until the object is complete, so support material is added to keep everything together during printing. Additionally, the surface of these raw, 3D printed parts is often rough, and not optimal for use or prototype testing. The post-processing of the parts involves removing these support structures and finishing the surface, a process that is often messy and time consuming. As more companies begin using 3D printing technology in their production and manufacturing workflows, new technology is being developed to reduce the amount of time spent on cleaning up raw 3D prints. New York-based post-processing equipment manufacturer PostProcess Technologies manufactures high-quality, automated and intelligent solutions for post-processing 3D printed parts. This week they are announcing the Hybrid Series, their new line of advanced post-processing systems. The Hybrid Series is the industry’s first, fully automated dual function post-processing machine that will both remove support materials and offer surface finishing in a single, fully integrated system. “By applying proprietary algorithms that optimize energy, as well as utilizing suspended solids and our detergents, the Hybrid Series is the next-generation technological system that addresses the increased complexity associated with metal support removal and surface finishing combined in one system,” explained Daniel Hutchinson, founder, president and CTO of PostProcess Technologies. The Hybrid Series, DECI Duo, by PostProcess Technologies. The first Hybrid Series product offered by PostProcess Technologies is the DECI Duo, a compact, closed-loop, 3D printed part cleaning system that minimizes the floor space required for a post-processing station. The Hybrid Series technology is intended to offer industrial manufacturers a method to speed up the use of 3D printing in their manufacturing workflow by increasing production volumes and significantly reducing cycle time. Being able to automatically remove supports from metals and high-end, industrial-grade thermoplastics, like Ultem 3D printing materials, will be one of the primary advantages of the Hybrid Series. “PostProcess is committed to continuing to lead advancements in the third step of 3D printing – post-processing. Our Hybrid Series further accelerates the ease of support removal and surface finishing on advanced materials enabling our customers to increase productivity while removing the growing post-printing bottleneck,” said Jeff Mize, CEO of PostProcess Technologies. The time and manual processes required to use traditional 3D printed part post-processing techniques often takes valuable engineering, design and production time away from 3D printing operations and personnel. PostProcess Technologies and their patent-pending technology is looking to completely automate the final step of the industrial 3D printing workflow, with the ultimate goal of increasing both output and part consistency. Their automated post-processing solutions are fully-scalable and will offer a wide range of industries, including aerospace, automotive, consumer products, defense and medical applications the ability to increase productivity and final part consistency. You can learn more about PostProcess Technologies products and manufacturing solutions on their website. 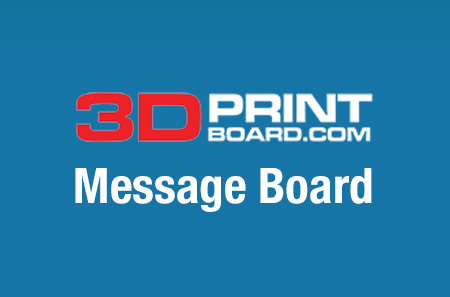 Discuss further over in the PostProcess & 3D Printing Technologies forum over at 3DPB.com.